Dear Ladies and Gentlemen, today for first time I posting the covers and information from Russian fan-audiobooks collected on CDs in 2000s. Premiere on this forum. Total: 7 CDs, but the covers were made only for 4 of it. All summary of fanfics, listed below, are not marked in booklets, these are only notes for full info. Fanfic "Penetration": part 1 (2000, new version). 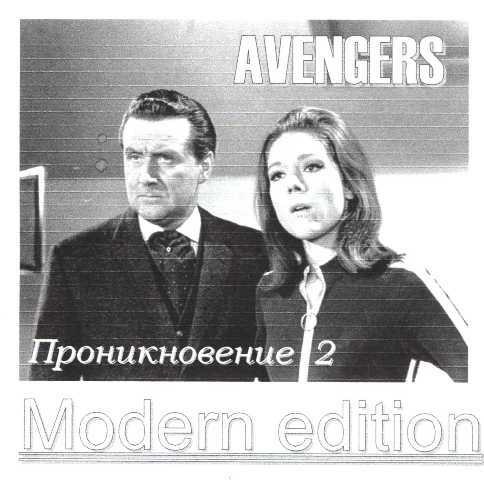 Summary: Mysterious murders of ministry agents takes place, Steed and Mrs. Peel find out that the top-secret device was recently abducted, capable of controlling radiation. Recorded in home studio "Gilmour Records" on 19 October 2002. Fanfic "Penetration": part 2 (2000, new version). Recorded in home studio "Gilmour Records" on 8 November 2002. Fanfic "Revenge from...": parts 1-3 (1996). Summary: Steed receives a letter from old friend who asked him to help investigate the murder in his ownership, castle-hotel. 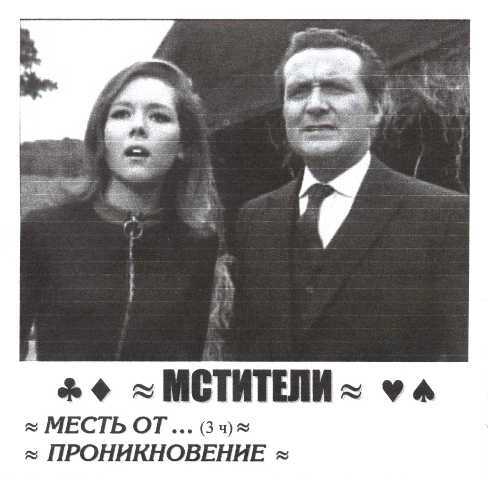 Steed and Mrs. Peel immediately to case. Part 1: Recorded in home studio of Denis Kirsanov in October 2000. Part 2: same stidio on 5 November 2000. Part 3: same stidio in 2001. 1. Fanfic "Revenge from...": part 3 (1996), re-recording. 2. Fanfic "Penetration": part 1 (2000, new version), re-recording. Revenge from...: Recorded in Central House of Culture "Yauza" in March 2002. 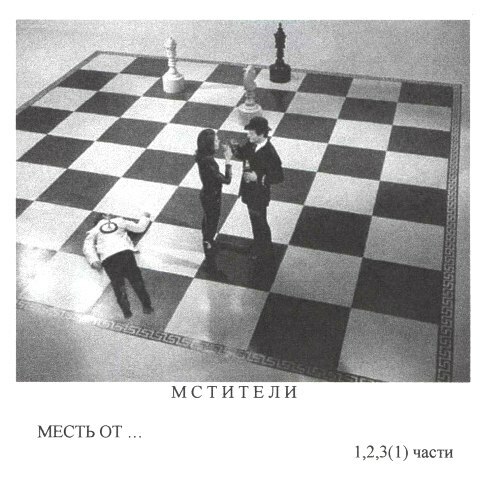 Summary for "Dark Light": Mystical murders of two men seemingly unrelated to each other leads Steed and Emma Peel to the fantastic inference: all the fault of the light bulbs. Summary for "Mr. Steed is on the trail": Humorous story in genre Parody about the searching of dangerous criminals. Fanfic "Dark Light": Recorded in Central House of Culture "Yauza" in 2001. Fanfics "Steedastory" and "Mr. Steed is on the trail": Recorded in home studio "Gilmour Records" in November 2002. Fanfic "Penetration": parts 1-3 (1997). 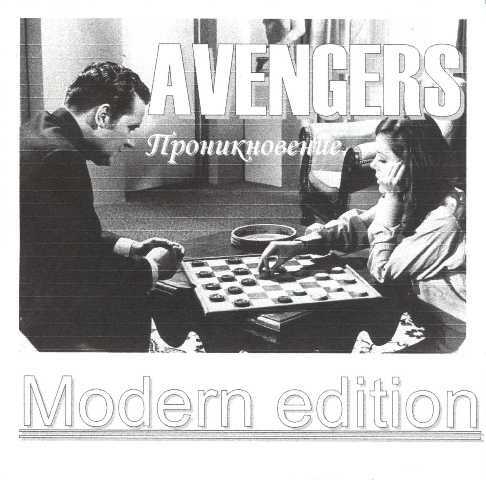 Parts 1&2: Recorded in home studio of Denis Kirsanov in October 2000. Part 3: Recorded in same studio on 24 May 2003. Part 1: Same record on CD 5, but remastering. Part 2: Recorded in home studio "Gilmour Records" on 8 March 2004.